(Rome) The new "Black Pope" is a Venezuelan. The Society of Jesus (Societas Jesu), better known as the Jesuits, elected Fr. Arturo Marcelino Sosa Abascal on Friday, October 14th, as the new religious superior, which the Jesuits officially call the Father General. The Vaticanist, Sandro Magister, drew attention to the Marxist past of the new General, after learning of the election. 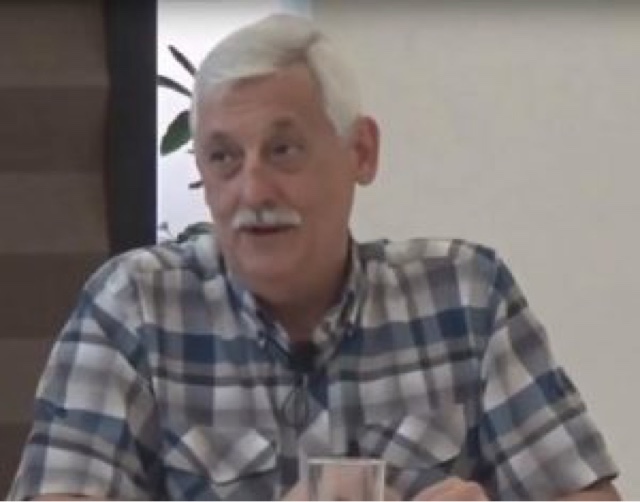 Arturo Sosa is the 31st General since 1541. He represents about 16,500 Jesuits worldwide. In 1965, the order reached its historic peak with 36,000 members, followed by a rapid decline in the last half century. The Order was suppressed in 1773, and was not restored until 1814. The present order therefore corresponds to before abolition around 1630 and since the restoration of that around 1900. The first religious order was founded by St. Ignatius of Loyola, who directed the Order from 1541-1556. The Jesuits do not have their own religious dress. For them, therefore, the black soutane of the world clergy is regarded as a religious habit. Because of the importance of the Order and the fourth vow of the Order, with which the Jesuits expressly pledge themselves to be loyal to the ruling Pope, and because they are dressed in black, while the Popes are dressed in white, the head of the Order is often called the "Black Pope." A Jesuit General is elected for life and has full decision-making power. The new election had become necessary, because the 30th General, the Spaniard elected in 2008, Adolfo Nicolás Pachón, had offered his resignation in 2014 to Pope Francis for 2016. The 35th General Chapter in the History of the Jesuit Order chose the Sosa, born in Caracas on November 12, 1948, to be the new religious order for life. "Marxist mediation" of the Christian faith "necessary"
"The mediaeval marxista de la Fe cristiana" (the Marxist mediation of the Christian faith), was the unusual title of an essay, published by the contemporary Jesuit General, Arturo Sosa, in the journal SIC of the Centro Gumilla de Investigacion y Accion Social, as well as the Gumilla Jesuit Center in Caracas, was headed by him from 1979-1996 before he became the Rector of the Catholic University of Táchira, one of the most western states of Venezuela, founded in 1962 in San Cristobal, the capital of the state. Father Sosa became Provincial of the Jesuit Order for Venezuela in 1996, an office he held until 2004 when he was sent to the USA. "What is curious about this article," says Magister: "It was published in the internet archive of the magazine with the underlines and remarks of a confrere of Father Sosa, who radically differed on this topic from the current order. The article was published in 1978. "Since then much water" has flowed down the Tiber and also the Orinoco. "It is difficult to say how much of the theses then expressed would be signed by Father Sosa," said Magister. The 70s and early 80s were very restless. "Marxism was the duty of the rebel movements in the Third World, including the Catholic," the Vatican says. 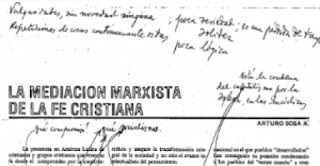 The fact is that Father Sosa at that time declared a "Marxist mediation of the Christian faith" not only "legitimate", but "necessary". 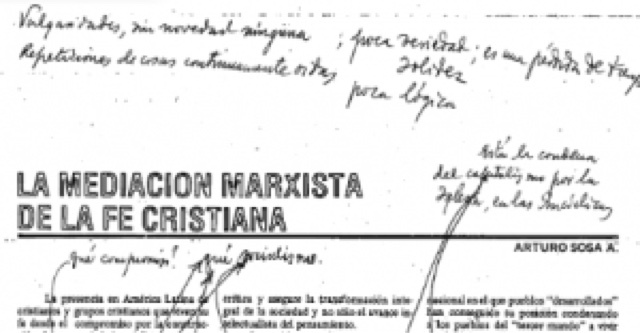 The Jesuit general has now went so far as to accept the criticism of atheist Marxism, since, according to Father Sosa in 1978, he did not criticize the "true God", but only a false god who was created by capitalist thought and bourgeois society. Sosa's language is that of Marxist liberation theologians. The logical consequence of this thought came from the Swiss Capucin, Walbert Bühlmann, who died in 2007, who, shortly before the collapse of the Communist Eastern bloc, defended Christian persecution by means of socialist dictatorships in Africa. According to Bühlmann, "only" those who were the "counterrevolutionary" Christians, who were not "real" Christians were persecuted, because the "true" Christians were on the side of the "revolution". Father Sosa's language of 1978 is in the same direction. "Many things have happened in Latin America and Venezuela," says Magister. "In his last article, published by SIC in May 2014, Father Sosa condemned, without any ifs or buts, the "etatist revolution" imposed on his homeland by Hugo Chavez and his successors." In 2014 Sosa spoke of a "totalitarian dictatorship" By an instrumentalization of plebiscites, to establish a "tyranny of the majority" as a democracy. 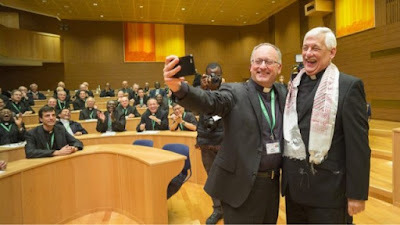 A new Superior General was concerned only "with politics and social sciences"
In the election of October 14, 2016, however, it is astonishing that "the Jesuits, as the first Jesuit reigns as a pope, have chosen a confrere for Superior General, who has written and discussed all his life only on politics and social sciences," says Magister . On the website of the Centro Gumilla, a CV of Father Sosa can be found. In the 40 lines, the word "politics" is found 19 times, while the word "theology" occurs only once, and only in connection with his earliest academic activity. Politics has always been the subject of his teaching activity both at Georgetown University in Washington, where he was appointed in 2004, as well as for the Venezuelan General Staff and the Military Academy of the Venezuelan Air Force (Comando y Estado Mayor and Escuela Superior de la Fuerza Aérea Venezolana), where he taught from 1985-1994. The Centro Gumilla was founded in 1968 on the initiative of the 28th Jesuit General Pedro Arrupe (1965-1983, in fact only until 1981) as the first Latin American project for political and social studies. The Center took over the publication of the magazine SIC, the oldest publication still in circulation of Venezuela, dealing with political and social issues. The main focus has been on trade unions and cooperative societies, liberation theology and the implementation of ecclesiastical social doctrine in Latin America "under the banner of social justice." Father Sosa was a religious monarch, like Pope Francis. It is not known whether Pope Francis, the first Jesuit on the throne of Peter, has influenced the election of the Order. However, the politicalization of the Order, embodied by Father Sosa, is reflected in a general politicization of the Catholic Church, launched by Pope Franziskus in 2013. This is a politicization with a strongly left-handed impact. 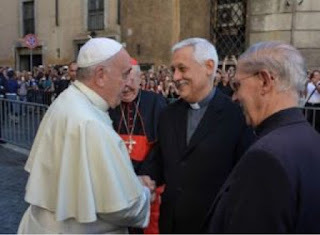 Right before the Conclave of 2013, Jorge Mario Bergoglio to the other Cardinals quipped that it would take a Jesuit Pope to reform the Jesuits (I believe he was campaigning for himself!). If the Cardinals only knew that Bergoglio was one of the most notorious dissidents of the Jesuits. With the election of Sosa, the Jesuits are now finally doomed to extinction. There are good Jesuits and they should start a new branch of the Jesuit Order. A new branch with the true intentions of San Ignacio de Loyola. How absolutely evil and ludicrous! You cannot believe in God or be a Christian if you are a Marxist!! How stupid can the Jesuits be???? This guy embodies one of the main reasons I steered clear of the Catholic faith for 30 years. 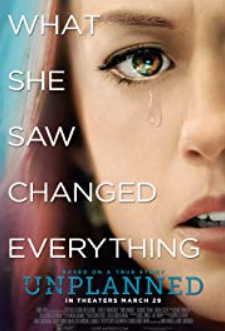 Because I saw it as a front for the Communists. That the Catholic Church is the only true bastion against Freemasonry, Communism and Socialism is probably new news to many Catholics today, but that is the truth. it's just that it has so many communists among its ranks. God is merciful. Giving them time to convert. Can there be any doubt where this is going? The goal is a world socialist government and the suppression of capitalism. This will join with the one world religion. Teilhard de Chardin, SJ, profiled this in his writings. Malachi Martin, SJ, laid out the blueprint in the Vatican. The suppression of Raymond Cardinal Burke both in being removed from St. Louis and then replaced on the committee to select bishops is a symptom. Throw in the warning of the Third Secret and there you have it in black (pope) and white (pope). It is now becoming clear that is indeed the goal of the Vatican apparatchiks, a one world socialist government with a one world syncretic religion. But if I may disagree with you on one point; suppression of 'capitalism' is not a goal, it is the complete elimination of free enterprise and its replacement by soviet-style 'state capitalism'. It is said the politics of the late Cardinal Martini of Milan were as red as his robes! One more perverse heretical clown---what else is new? Say Latin American clergy and Jesuit and the automatic synonym in Roget's "Thesaurus" is "Marxist." Real men in towns and villages would know what to do with their cesspool schools and rectories just as they would as if their wives and daughters were raped. For that, in fact, is what they are: rapists, of the Faith and of Holy Church. There's one goof thing about all this. The Jesuits now number about 16,300. That's a decline of nearly 20,000 in 50 years. With this guy elected, who is even more radical that the heretic dissident Pope we have now, look to see the Jesuits dip to below 10,000 in the next 5-6 years. The Order is for all intents and purposes extinct in Canada, England,Ireland,France, and soon in Italy....where before Vatican II there were 3,500 Jesuits.....today less than 400. Maybe somewhere, either the SSPX or another good group will start up a traditionalist branch of the Jesuits. This should have been done already! !